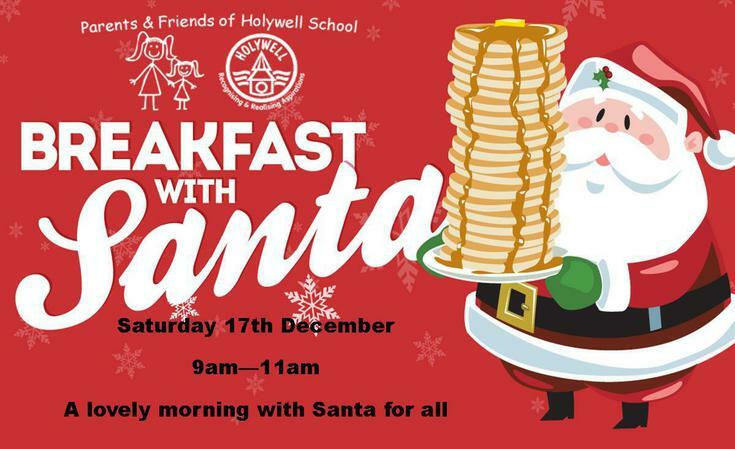 We invite parents, carers, children, grandparents and their families and friends to come and join Santa for breakfast on Saturday 17th December 2016 at 9am. There will be a choice of cereals, sausage or bacon roll (Veggie option if pre ordered) and croissants. Children's breakfast with free gift is at cost of just £3.00 per child. An adult breakfast is also available with a hot drink at just £2.00 per adult. There will also be a chance to meet Santa and receive a free smiggle gift, with photo opportunity. Please return to the school office by Friday 2nd December. The Elves need to know how many presents to put on the sleigh. Your tickets will come to you via class registers, please bring them with you on the 17th.